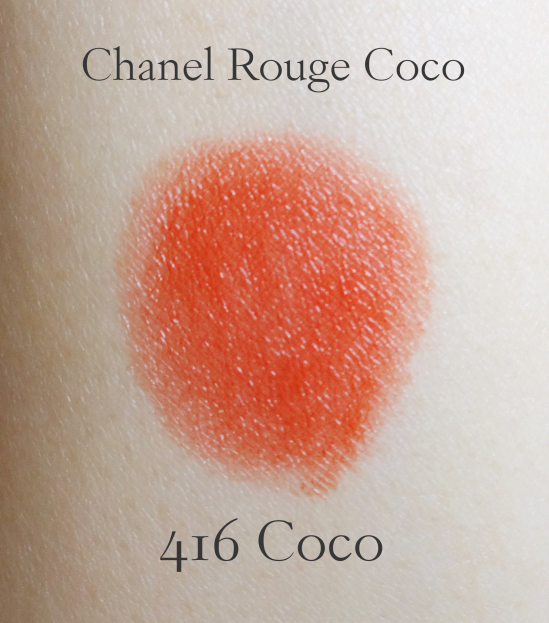 Coco is a reddish orange with sparse shimmer. 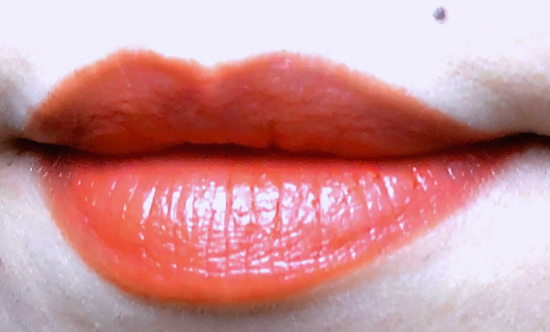 It is probably the warmest lip color that I ever owned. I don't think I'd ever had anything I could call an orange. The shimmer is almost invisible once applied. 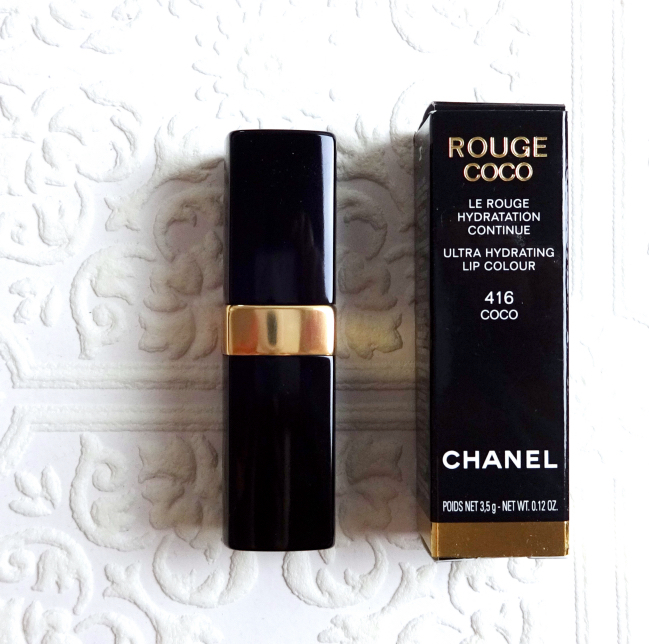 I have tweeted briefly about what I think of this reformulated Rouge Coco line. It certainly feels pampering on lips, and the sheer-to-medium color payoff with a slightly glossy finish is the very ideal that I search for in lipsticks. For what it is, it even stays on for quite a bit leaving a nice stain behind (although it might be just this color and the kind of pigment used). All is good because I happen to like the color, Coco. 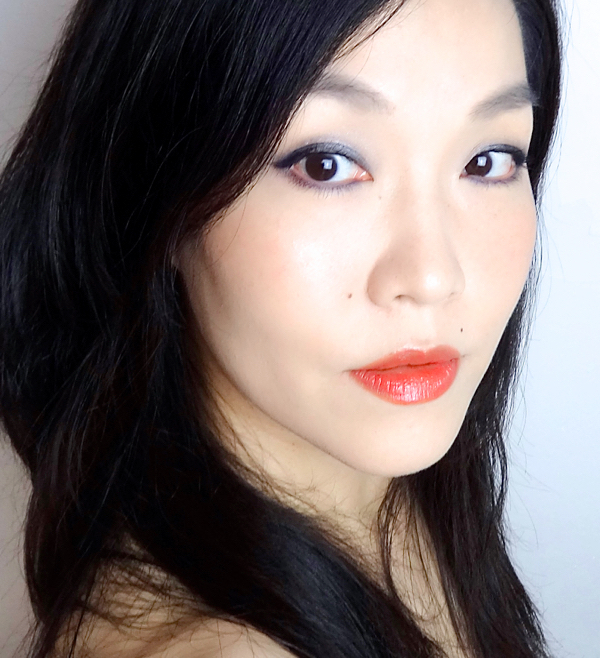 Here is an overall look with Chanel Rouge Coco 416 Coco. What color are you gravitating towards this spring? Any unusual favorite? 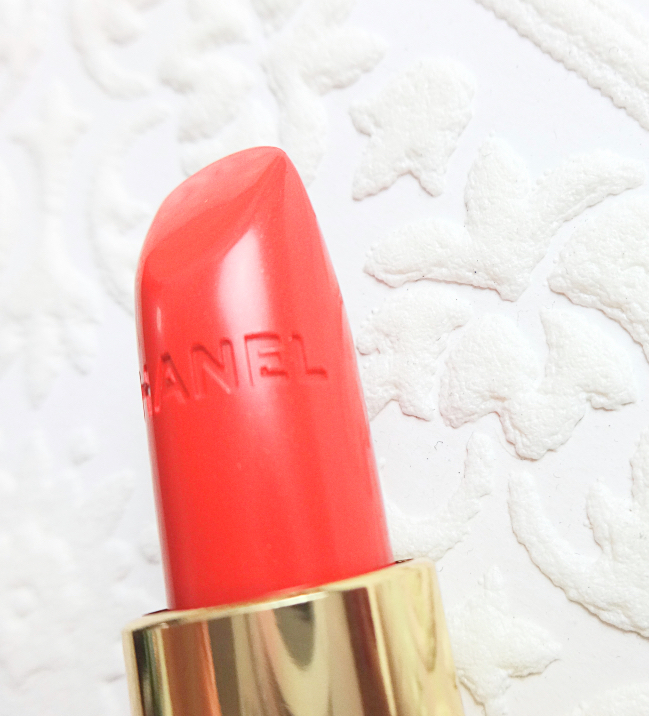 I just found out Chanel describes Coco as a "peony orange", which totally makes sense. I think Coco looks very nice on you!! I think the color appears quite red on you and not very orange. I haven't tried any lipsticks from Chanel ( surprise surprise :D ) but I've been intrigued to try this new revamped line.. They seem to get a lot of positive reviews.. I think you're right. Coco pulls quite reddish on me plus it has a hint of pink, too. I think it works because it is a complex color. Oh, it definitely IS orange! I think of this color as more of a statement lip that is just not of the red or vamp, variety you know? It is a nice color certainly on you. 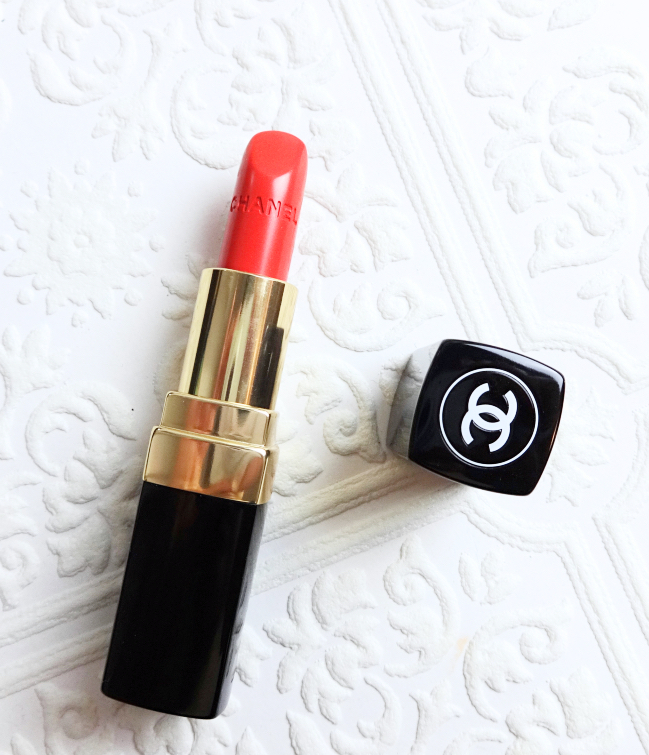 I've never had a Chanel lipstick formula that 100% agreed with my lips, but the new reformulation does have me curious to try it. It is quite refreshing to bring in something that's different from the rest of the stash. Coco fetches a few compliments as well, which is encouraging (yet another growth in my stash size ;$), but I doubt I would buy another distinctively orange shade any time soon. I wonder how the new Rouge Coco compares to Burberry Kisses. They both seem to have buildable coverage, etc. Yeah, I spent some pretty pennies on Chanel this year. Happy that I am mostly satisfied with my unseen online purchases, too. OOOOH, that blush goes perfectly with that lipstick! Hurra! And I love that orange on you! You definitely need to keep branching out! I doubt that, Rowena. LOL. I do know you enjoy natural looking makeup, though. I think it would have looked harsh on me if the coverage was fully opaque. Coco still shows through my natural lip color while maintaining the color intensity. Now I am experimenting with those "ambiguous" colors that have both warm and cool undertones. They are quite fun. This is totally the kind of shades I hoard too much off but I guess I am pretty content with the drugstore offering to buy high end(I remember getting Guerlain sugar kiss then put it back because I didn't feel like it would be 5 times better than those lipstick from loreal...so it felt like I saved 40 bucks and could justify some Japanese hauls). Ps. We see crocus here last week already! I actually thought it's getting warm too quickly(Canadian much? )and I kind of wish the leather jacket/boots weather stays longer, cause I don't have any normal shoes! I totally get what you mean. I myself never have experienced any high end lipstick that is 5 times better! And since L'Oreal owns everything and Revlon being formidable coming from the deeper roots..I think we are right about that. I'm not sure I *need* this new range though. Thanks! I agree that the somewhat sheer quality of the formula makes it easier for me to pull. I think that's awesome you've chosen a shade out of your normal comfort zone! I personally literally almost always avoid orange on my lips, soft corals are the furthest I go, afraid of how it may look on my yellow undertoned skin! However this really is totally flattering on you! I can see this going nicely with a bronzey golden eye! Good to note how the formula of this and the shine are similar! I've been wondering which one to go for but I guess I'll just be looking at shades from both ranges! There is no consistency when it comes to Chanel lippies, really. So for me, it always comes down to colors. Colors are what draw me into the brand, not the formula itself. Oh, and of course, the packaging! LOL. This seriously looks amazing on you, Lena! I don't think I have ever tried this shade of orange but now I want to! You definitely need to wear it more often! I think the color payoff is definitely playing a big part when it comes to lipsticks. This slight complexity with very sparse shimmer makes the color interesting, too. I don't like orange lipstick, but I loved that one! A mix of orange, coral, red.. I can't define in only one color but is amazing!